This is your chance to experience the thrill of tandem paragliding with the maximum security guaranteed by long experienced and skilled flight instructors. Everybody can fly, there is absolutely no need for previous experience, the instructor, with a small briefing, will provide to the passenger all the informations about the take-off, the flight experience, and the landing. 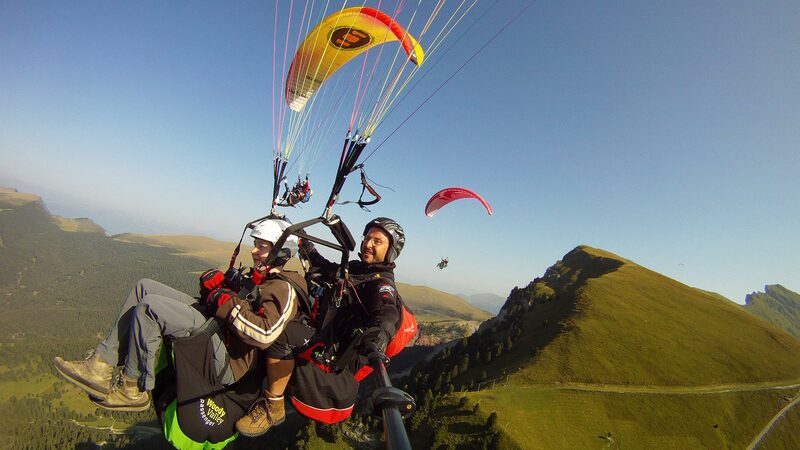 During the flight,the passanger can fly the paraglider himself or he can leave all the commands to the instructor, thus having free hands to shoot photos and video of an unforgettable adventure. 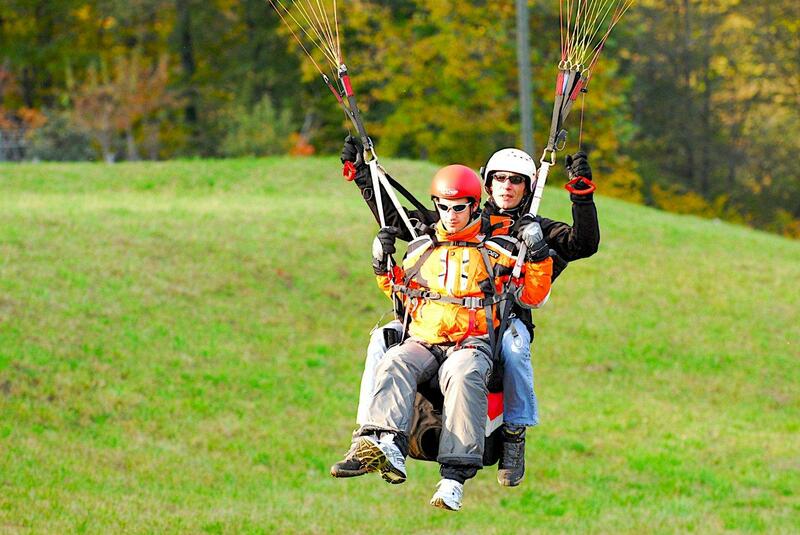 The flight comfort is guaranteed by the paraglider saddle, a kind of retractable chair that is used after the take-off. The landing phase (exclusively managed by the instructor) is very soft and smooth. The departure is from Bargiglio Mount (700 meters) above the village of Borgo a Mozzano (30 minute drive from Pruneta di Sopra villa) and the landing, after about 20 minutes flight, is near the village of Diecimo. 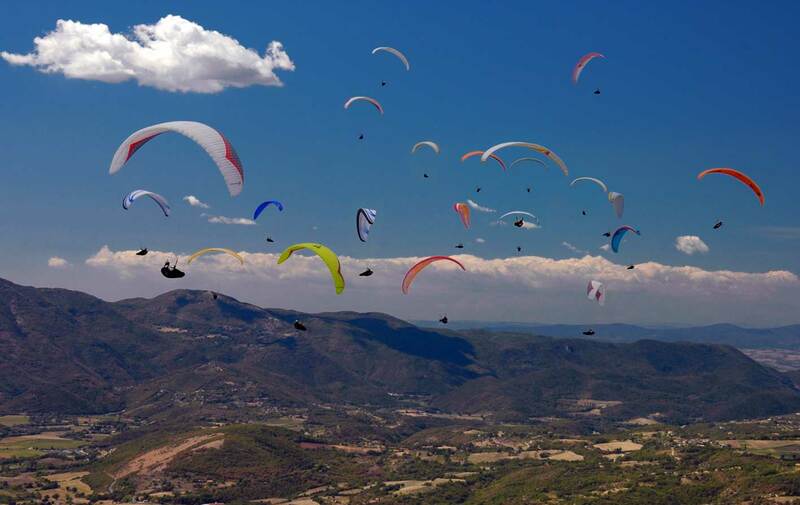 This area is probably one of the best places in Tuscany for paragliding. The flight will take place only with the suitable weather conditions. Passenger will be contacted in advance in case of cancellation.